The reference for this painting is a photograph taken in 1871 by Stephen F. Adams. 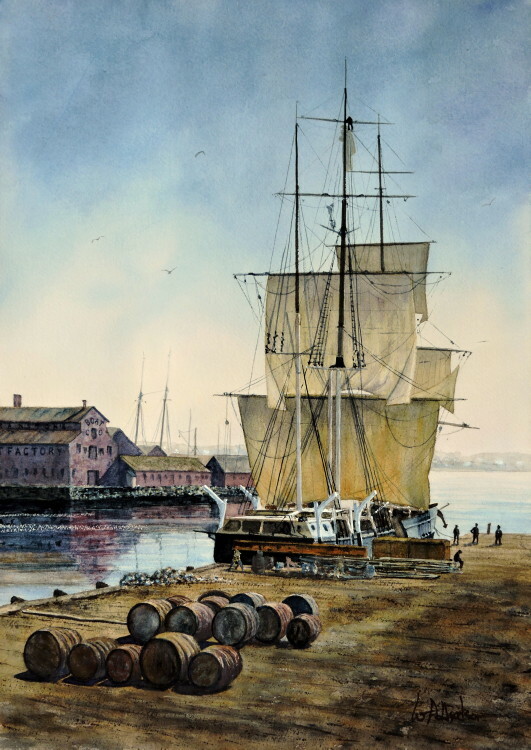 The bark Helen Mar was a whaler being fitted for new sails in New Bedford, Massachusetts which was then the whaling capital of the world. She left port on September 26, 1871 headed to the North Pacific and returned four and a half years later laden with sperm whale oil and baleen. In 1892 the Helen Mar crashed into an ice floe and sank within 10 minutes.